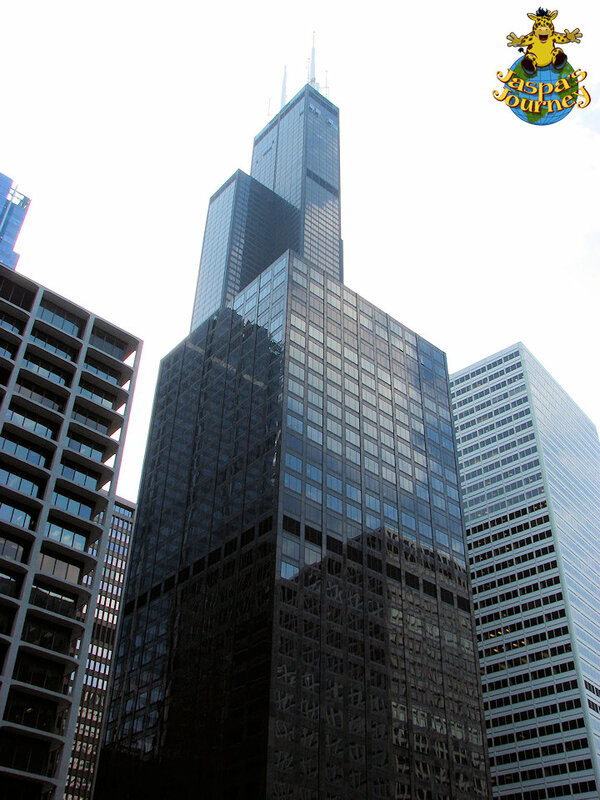 Completed in 1974, the 108-storey Willis Tower (formerly Sears Tower) remained the tallest building in the World until 2010, when it was succeeded by Dubai’s Burj Khalifa. 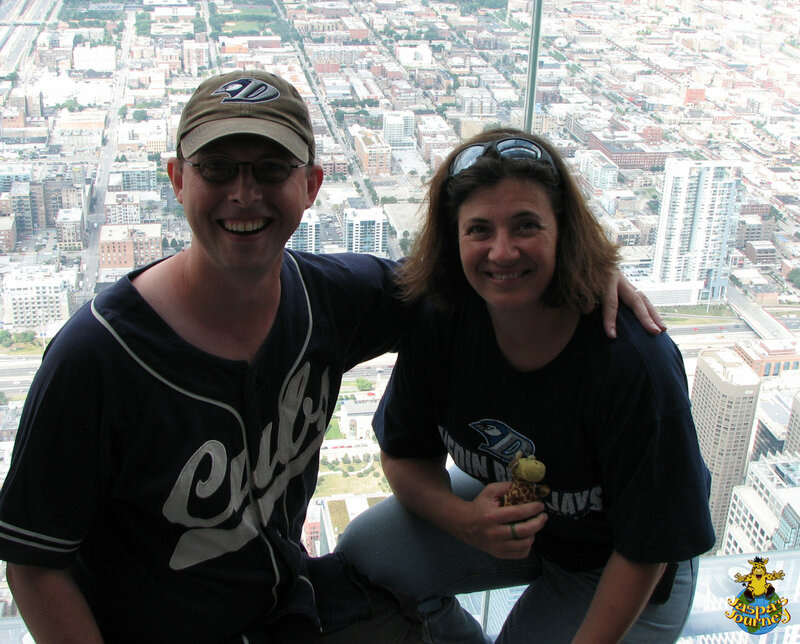 The normal views from the Skydeck observation platform on the 103rd floor of the Willis Tower are simply magnificent. 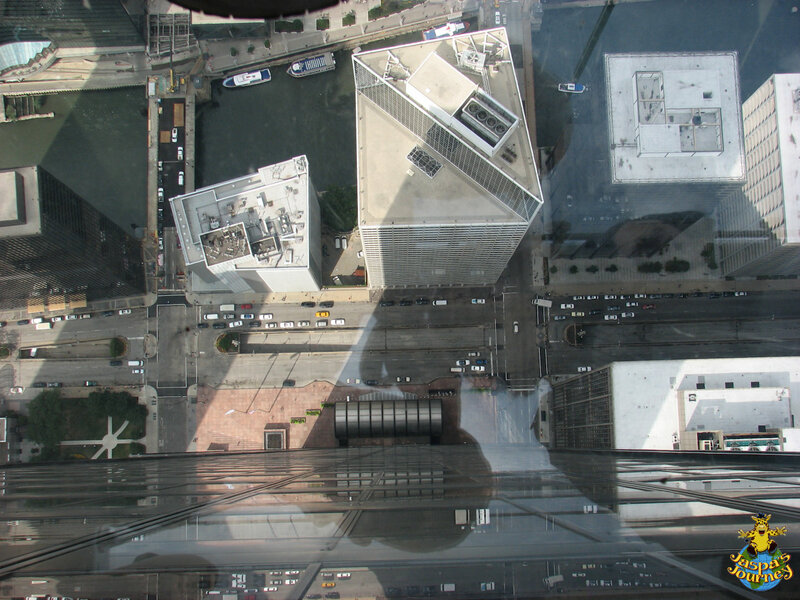 I mean, how often do you get to look down on skyscrapers without the aid of some kind of aircraft?! Yet you can take the thrill of being so high a step further (pun intended), by walking out onto The Ledge. 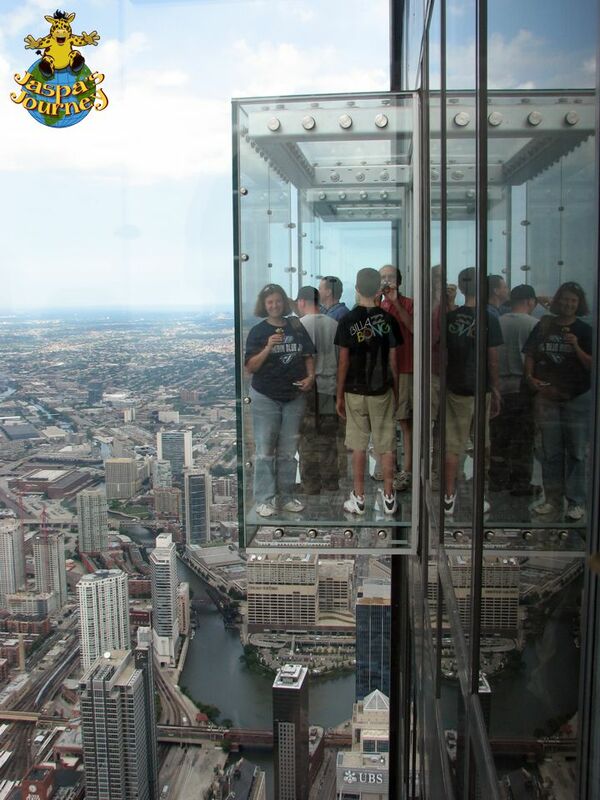 This knee-wobbling attraction consists of four retractable glass boxes, each of which can be rolled out to form a balcony jutting four feet from the side of the building. 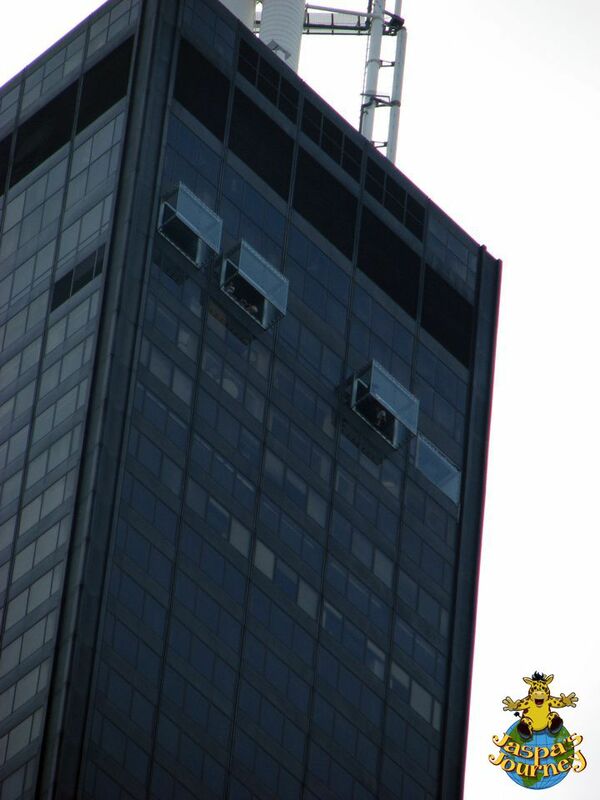 Can you see The Ledge? 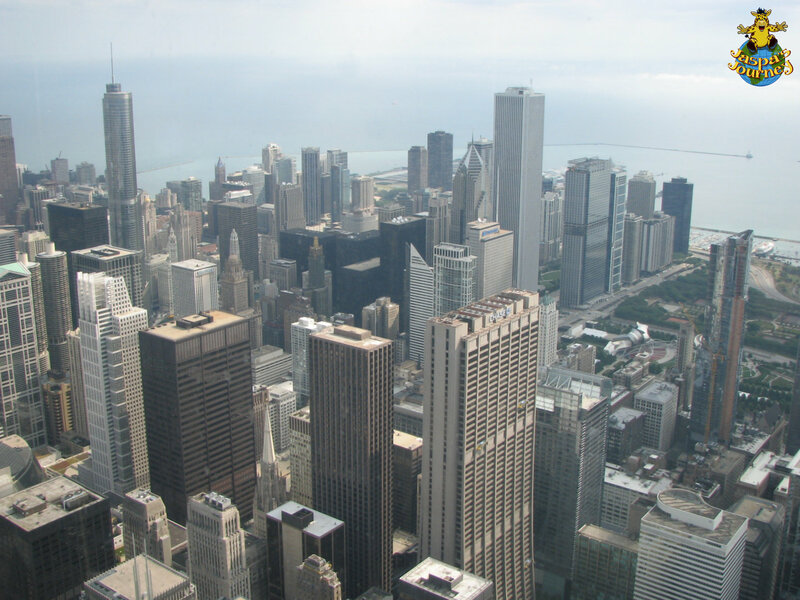 From one of these boxes the view to the side is of your friends, suspended 1353 feet above the street, atop one of the highest skyscrapers in the World. 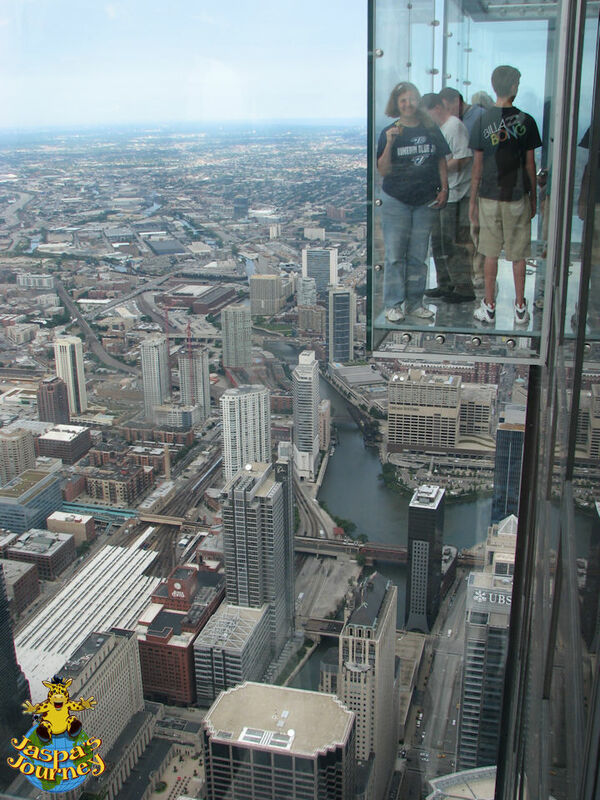 My natural instinct was not to step out onto the glass floor, of course. But you only live once, right? This post was inspired by this photo themes of Atop and Instinct from the Daily Post, and View From The Side from Cee’s Fun Foto Challenge. There’s a lot of nothing beneath our feet! 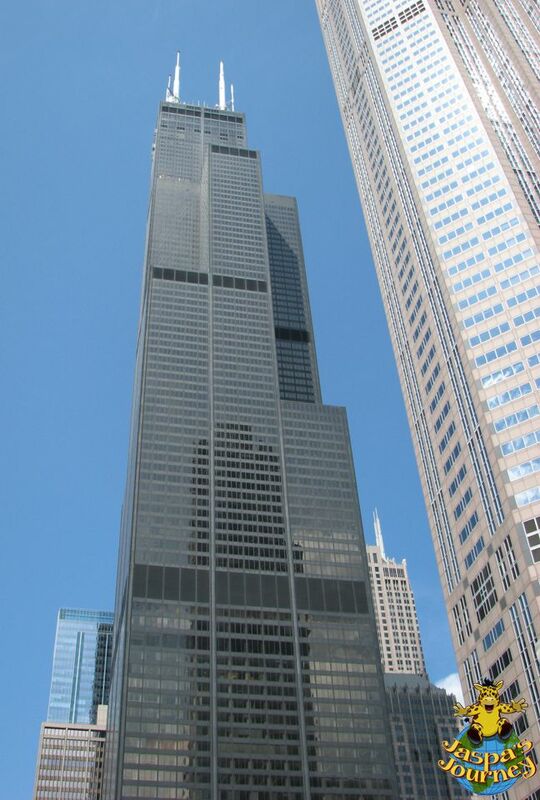 This entry was posted in Adventure, Travel, USA and tagged Cee's Fun Foto Challenge: View From The Side, Chicago, Daily Prompt: Instinct, Sears Tower, Skydeck, skyscraper, Weekly Photo Challenge: Atop, Willis Tower. Bookmark the permalink. AHHHHHHHHHH TOOOO much….lol… have fun! OMG! That Ledge is so scary! I guess you’re right — you only live once. It’s quite an experience, that’s for sure! I loved that ledge! Mind you, I couldn’t shake that ‘about to fall’ feeling the whole time, but it was well worth it!! I love that you have pictures from one ledge to another! While I was writing the post I read that in 2014 the floor of one of the cubes cracked why visitors were on it! Now that would give you an ‘about to fall’ feeling, Kristyn!! It takes a while to get so high, Cee! mi è venuto il capogiro! non so se sarei capace di salire su! When you’ve gone so far, Annalisa, you make yourself walk out onto the glass. You may never get the chance again! The elevator is actually inside the building, thankfully the cubes themselves don’t go up and down!